These simple and effective methods of acupressure can be safely used to alleviate chronic pain. As always, when engaging in self-acupressure, find a comfortable position before beginning. Take a minute or two for focused deep breathing to ease into a peaceful state. You can find the Head Corner point on your hairline, roughly in the area just above the end of your eyebrows. If there’s not much hair to judge by, take your best guess. If you imagine your head as a square, the points are at the corners. Apply gentle pressure in a circular motion with the pads of your three middle fingers. Gradually increase the pressure if needed. In addition to alleviating headaches, rubbing here can soothe tired eyes and alleviate nausea. This point is nestled very close to the nose, at its base, just off to the sides. It is well-known for its ability to open up the sinuses. Try experimenting here with your fingertips by delicately pulling the skin towards your ears, or in a slightly upward direction. The free flow of air can help reduce chronic headaches induce a calming effect by allowing you to deep breathe through your nose. 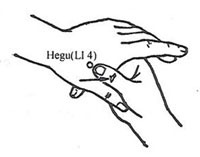 This point is located near the thumb and is a highly effective point when addressing any kind of pain. To locate, put the thumb and first finger in a position where they are straight but touching each other. The fleshy mound between the two should be visible to the eye and easily located. Apply steady, strong pressure with your opposite thumb, as you make tiny, circular motions. This point is conveniently located at the back of the knee, in the center, right where it bends. Use your thumbs to press with moderate to strong pressure. Circular motions or directly pressing this area can help bring relief to chronic lower backache and the pain associated with osteoarthritis. Categories: Acupressure, Acupuncture, Alternatice Medicine, Health, Pain management, Preventive Medicine | Tags: Pain management | Permalink. It’s a challenge to eat healthy when there is junk food readily available. It only takes a single glimpse or thought of a sweet treat or salty, savory snack for a ravenous craving to kick in. Over time, these binges, if not controlled, can lead to weight gain, fatigue, muddled thinking, and moodiness, to name a few. A balanced meal, according to according acupuncture and Oriental medicine, consists of foods that represent all five tastes—sweet, sour, bitter, salty, pungent. Each taste corresponds with a specific organ channel. By understanding their connection, you can move toward maintaining a healthy appetite. Associated with the Lung and Large Intestine pungent tastes include the dry, hot taste found in garlic, ginger, and onions needed to help the lungs properly circulate energy throughout the whole body. Sweet tastes are associated with the stomach and spleen. Fruits, sweet potatoes, and some vegetables like carrots aid in digestion and reduce the toxicity of all foods. Liver and Gall Bladder are associated with sour tastes. Sour foods, like pickles or vinegar, help your body metabolize fats better. The bitter taste found in dark chocolate, radish, and bitter gourd removes excess heat from the Heart and Small Intestine helping them function better and pacify negative emotions. The salty taste associated with the Kidney and Bladder has a big impact on moistening hard bowels and regulating their movements. Curbing your cravings takes knowing which system is out of whack. If there is an intense hankering for sweet and salty, this implicates the Spleen, Stomach, Kidney, and Urinary Bladder. The desire for rich, fatty foods can be traced back to the Liver and Gall Bladder. Since the Spleen and Stomach are associated with obsession, which can certainly be the case in an inability to restrain oneself from devouring all cookies and chips in the kitchen, these are usually the culprit behind every craving. An acupuncture treatment typically includes points to help bolster a sluggish Spleen and other lagging organs. Categories: Acupuncture, Chinese Medicine, Health, Nutrition, Preventive Medicine | Permalink. Repetitive stress injuries (RSI) are the most common job-related injuries and are responsible for the highest number of days lost. One of the most well-known types of repetitive stress injuries, carpal tunnel syndrome (CTS) accounts for over two million visits to physicians’ offices and approximately 465,000 carpal tunnel release operations each year, making it the most frequent surgery of the hand and wrist. Acupuncture is as effective as the corticosteroid, prednisone, for the treatment of carpal tunnel syndrome (CTS), according to a 2009 study published in The Clinical Journal of Pain. The randomized, controlled study investigated the efficacy of acupuncture compared with steroid treatment in patients with mild-to-moderate carpal tunnel syndrome as measured by both nerve conduction studies and symptom assessment surveys. The researchers concluded that acupuncture is just as worthy and viable a treatment for those suffering from mild to moderate symptoms of carpal tunnel syndrome as taking the drug prednisolone. This is good news for patients who cannot tolerate oral steroids or prefer to handle their condition without the use of pharmaceutical drugs. In addition to reducing swelling, inflammation and pain, acupuncture also addresses headaches, neck pain, shoulder stiffness and sleeping problems that often accompany this condition. Alternate Tasks — avoid doing the same task for more than a couple of hours at a time and alternate between tasks that use different muscle groups where possible. Take a Break — fatigue is a sign that you need to take a break. Take small breaks to gently stretch and bend your hands and wrists and readjust your position. Reduce Pressure — many people use more force than needed to perform tasks involving their hands, which can increase pressure and cause irritation. Be mindful of the speed and amount of pressure used to perform tasks. Ease up, slow down and grip using your palm or whole hand to distribute the load. If using tools such as riveters or jackhammers for extended periods, take frequent breaks or operate the tool at a speed that causes the least amount of vibration. Cultivate Good Posture — incorrect posture can cause your shoulders to roll forward, shortening neck and shoulder muscles and compressing nerves in your neck, which can affect your wrists, hands and fingers. Your shoulders and neck should be relaxed to open the chest and allow your head to float upwards without strain. When using a keyboard, wrists should be in a relaxed middle position and in a straight line with your forearms at elbow height or slightly lower. In 2011 a Yale University/University of Pittsburgh study of women with hot flashes brought on by conventional breast cancer treatment, found that women who received acupuncture had a 30 percent reduction in hot flashes. The endocrine system is responsible for hormonal functions in the body and produces 30 distinct hormones, each of which has a very specific job to do. This system controls your physical growth, mood, hormone output, reproductive system, mental function and immune system. When it’s not working properly, you become more susceptible to disease and your ability to fight off infection is weakened. Endocrine glands and how they function impact every area of your health. The major endocrine glands include the adrenals, pancreas, pineal, pituitary, reproductive and thyroid glands. The endocrine system is closely tied to the internal balance of the Yin energy and the Yang energy. Imagine that the Yang energy is like gasoline that fuels a car, and Yin energy is the engine coolant. Without the coolant, the engine overheats and burns out. Acupuncture and Oriental medicine work to make sure the Yin and Yang are equal within the body to restore balance. The root of the body’s energy in Oriental medicine is the kidney meridian, so strengthening that meridian also restores nourishment to your endocrine glands. Acupuncture can be used to restore hormonal balance, regulate energy levels, smooth emotions, and help manage sleep and menstrual problems. This year’s flu season is one of the worst on recent record. There are three different strains of virus circulating this year. The flu vaccine is meant to fight against H3N2, H1N1 and influenza B. The predominant virus this year has been H3N2, which means there have been more complications among the young and elderly. The flu vaccine isn’t as effective against this strain as it is for the others. While the misery of cold and flu season might be inevitable, one thing is changing: where we look for relief. The easiest way to protect against the flu is to have a healthy immune system. However, that doesn’t mean you still won’t come into contact with airborne virus particles. That’s why your first line of defense against the flu, or any other illness, is to strengthen your immune system. When it comes to staying healthy during cold and flu season, acupuncture and Oriental medicine have a lot to offer. Acupuncture and Oriental medicine can help prevent colds and flu by strengthening the immune system with just a few needles inserted into key points along the body’s energy pathways. In Oriental medicine, disease prevention begins by focusing on the protective layer around the exterior of the body called Wei Qi or defensive energy. 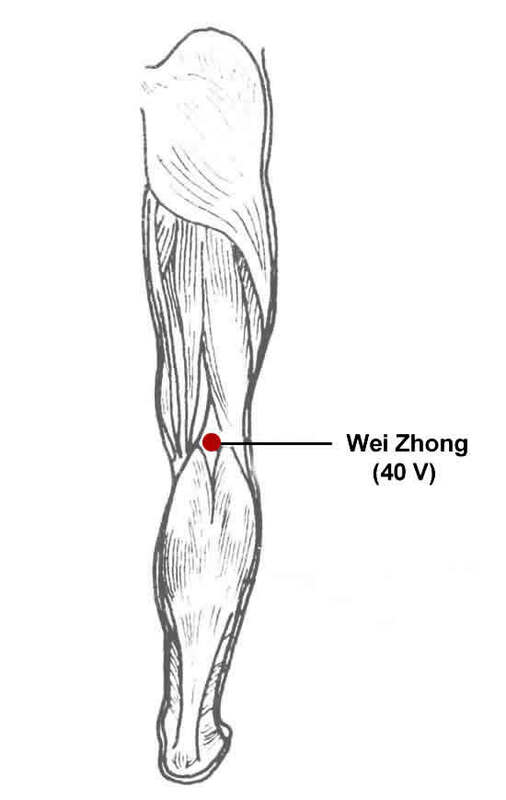 The Wei Qi involves acupuncture points known for strengthening the circulation of blood and energy to boost your body’s defenses. Acupuncture and Oriental medicine can also provide relief and faster healing if you have already come down with a cold or the flu by helping to relieve symptoms you are currently experiencing including chills, fever, body aches, runny nose, congestion, sore throat and cough. While bringing some immediate relief, treatments will also reduce the incidence of an upper respiratory tract infection and shorten the length of the illness. Acupuncture and Oriental medicine can prevent colds and flu by building up the immune system with just a few needles inserted into key points along the body’s energy pathways. These points are known for strengthening the circulation of blood and energy and for consolidating the outer defense layers of the skin and muscle (Wei Qi) so that germs and viruses cannot enter through them. Good lifestyle and hygiene habits are also proven to reduce your risk of getting sick. Studies have shown that one of the main reasons that we catch colds and flu in cold weather is that we are indoors and in closer vicinity to others. Protect yourself from picking up germs by washing your hands regularly and remembering not to touch your face. The Nei Jing, an ancient Chinese classic, advised people to go to sleep early, rest well and rise late, after the sun’s rays have warmed the atmosphere a bit. This preserves your own Yang Qi for the task of warming the body. Even busy, working people can boost their health by sleeping in on weekends. Find a release valve for your stress. According to Oriental medicine, stress, frustration, and unresolved anger can play an important part in throwing the immune system off and allowing pathogens to affect the body. Find a way to relax and release stress on a daily basis. Such methods may include yoga, meditation and exercise. Acupuncture has been shown to be effective in the treatment of stress, anxiety and depression. Seasonal acupuncture treatments also serve to tonify the inner organ system and can correct minor annoyances before they become serous problems. According to Oriental medical theory, most digestive disorders are due to disharmony in the spleen and stomach. The spleen plays a central part in the health and vitality of the body, taking a lead role in the assimilation of nutrients and maintenance of physical strength. It turns digested food from the stomach into usable nutrients and Qi (energy). Many schools of thought have been formed around this organ; the premise being that the proper functioning of the “middle” is the key to all aspects of vitality. Two examples of diagnoses would be rebellious stomach Qi and food accumulation in the stomach. Qi is a vital energy necessary for all life to exist. Both of these diagnoses call for an acupuncture treatment that will redirect energy downwards, as should naturally happen just after eating or drinking. Rebellious stomach Qi is a perfect description for some of the symptoms of acid reflux. The stomach, according to the philosophy of acupuncture and Oriental medicine, is needed to ripen and rot food. After this process of fermentation occurs, only then may the nutrients be extracted during the next phase of digestion. Without strong stomach Qi, issues regarding malnutrition may arise. This is why an acupuncturist will need to evaluate a patient with acid reflux and address any nutritional deficiencies that may be present. Diet is very important in helping to calm symptoms. Categories: Acupuncture, Chinese Medicine, Health, Uncategorized | Tags: Acid Reflux, Digestive disorders, Nutrition | Permalink. Nausea can range from mild queasiness to serious distress. While not classified as a disease itself, it is an indicator that something else is wrong. Depending on the severity and duration of vomiting, some level of dehydration may occur. In severe cases, this may become a medical emergency. Small sips of warm water may help the patient stay hydrated or, if this is not tolerable, sucking on ice chips may help. Acupuncture and Oriental medicine offer some simple acupressure techniques you can perform at home to help alleviate nausea. The first exercise involves the acupuncture point called Pericardium 6 (P6), or Inner Gate. To locate this point, place your hand with the palm facing up. Starting from the middle of the wrist crease, place three fingers down below your wrist. Your index finger should be in the middle of two tendons. If you are having trouble locating the tendons, flex your wrist and they should be displayed more prominently. Press Inner Gate lightly with the pad of your thumb. You can slowly increase pressure and go deeper into the point. Continue this exercise for up to five minutes if you are using heavy pressure. Some people experience more relief from nausea when they continuously press with gentle to moderate pressure. If this is the case for you, it is safe to apply acupressure for longer periods of time. 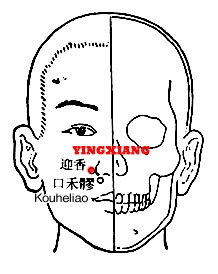 If nausea still persists after applying acupressure at Inner Gate, you can activate its partner point, called Outer Gate or San Jiao 5 (SJ5). It is found on the opposite side of the forearm from Inner Gate. With your thumb on Inner Gate and your middle finger on Outer Gate, complete the circuit by squeezing the points together using moderate pressure. Hold for a few seconds and then release. This can be done for up to five minutes. 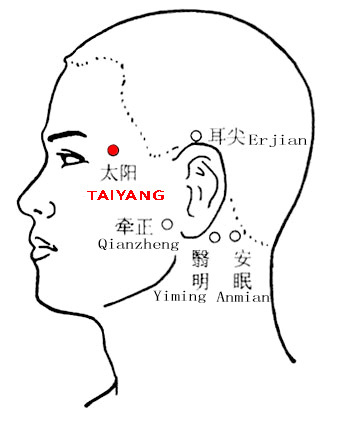 Categories: Acupressure, Alternatice Medicine, Health | Tags: Acupressure, Nausea | Permalink. A pilot study found in the medical publication International Journal of Rheumatic Diseases 2010, demonstrated the safety and efficacy of acupuncture in the treatment of rheumatoid arthritis (RA). The study criteria focused on the disease activity, pain scores, functional ability and quality of life issues for the study participants. To evaluate disease activity, researchers used the DAS28 test. This test measures and records the levels of tenderness and inflammation of 28 separate joints in the body. Categories: Acupuncture, Alternatice Medicine, Health, Life, Pain management | Tags: Arthritis, Osteoarthritis, Psoriatic arthritis, rheumatoid arthritis | Permalink.